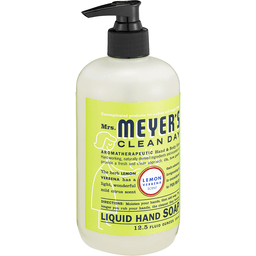 MRS. MEYER'S CLEAN DAY LEMON VERBENA HAND SOAP IS MADE WITH PLANT-DERIVED INGREDIENTS, NATURAL ESSENTIAL OILS, ALOE VERA EXTRACT AND OLIVE OIL. 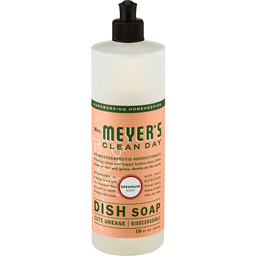 OUR BIODEGRADABLE SOAP CLEANS HANDS WITHOUT PARABENS, PHTHALATES, OR ARTIFICIAL COLORS. 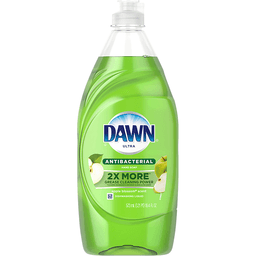 EACH HAND SOAP COMES IN ONE 12.5 OZ. 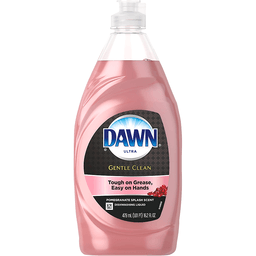 BOTTLE AND IS CERTIFIED CRUELTY-FREE. 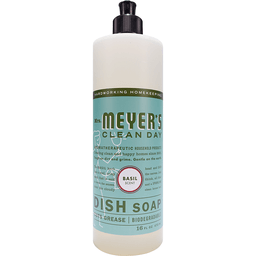 MRS. MEYER'S CLEAN DAY BASIL DISH SOAP CUTS GREASE ON DISHES AND PANS WITH PLANT-DERIVED INGREDIENTS, NATURAL ESSENTIAL OILS AND ALOE VERA. 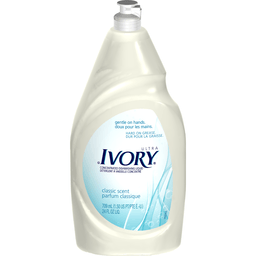 OUR EFFECTIVE FORMULA IS FREE OF PARABENS, PHTHALATES, CHLORINE AND FORMALDEHYDE. EACH 16 OZ. 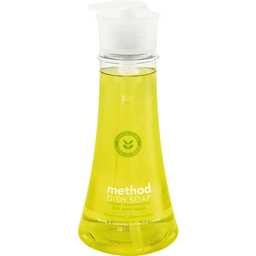 BOTTLE OF BASIL DISH SOAP IS BIODEGRADABLE AND CERTIFIED CRUELTY-FREE. Mrs. Meyers Clean Day Liquid Dishwashing Soap in Honeysuckle scent is a fast and effective degreaser for hand washing dishes. 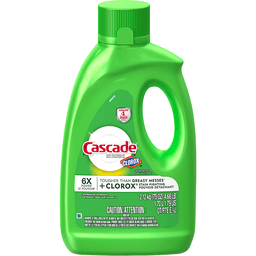 The formula is rich, thick, and extra concentrated and made from Soap Bark Extract and other natural ingredients that can be found in the garden. 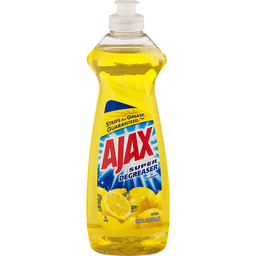 Its' streak free finish will leave you quite pleased and fill your kitchen with a lovely aroma. 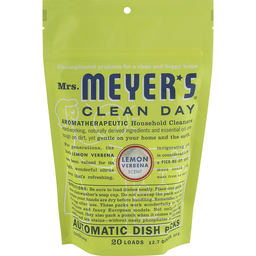 MRS. MEYER'S CLEAN DAY LEMON VERBENA AUTOMATIC DISH PACKS USE PLANT-DERIVED CLEANERS, NATURAL ESSENTIAL OILS AND ENZYMES TO REMOVE FOOD AND COFFEE STAINS. 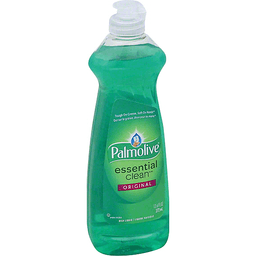 OUR NATURAL FORMULA CONTAINS NO CHLORINE, FORMALDEHYDE OR PHOSPHATES. EACH 12.7 OZ. 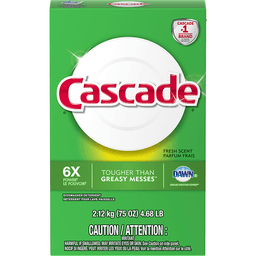 PACKAGE OF AUTOMATIC DISH PACKS DOES TWENTY LOADS AND IS CERTIFIED CRUELTY-FREE. 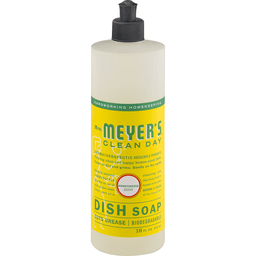 MRS. MEYER'S CLEAN DAY LEMON VERBENA GLASS CLEANER CLEANS AND SHINES GLASS, MIRRORS AND OTHER SMOOTH SURFACES WITH PLANT-DERIVED CLEANERS, NATURAL ESSENTIAL OILS AND CORN-DERIVED ALCOHOL. 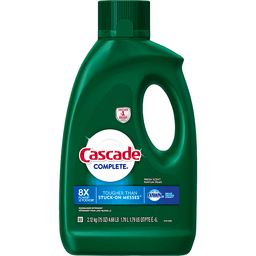 OUR FORMULA IS FREE OF AMMONIA, FORMALDEHYDE AND PHTHALATES. EACH 24 OZ. 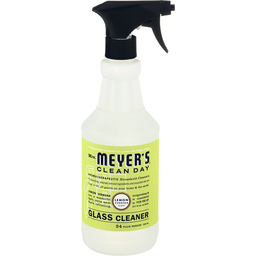 BOTTLE OF GLASS CLEANER IS CERTIFIED CRUELTY-FREE. 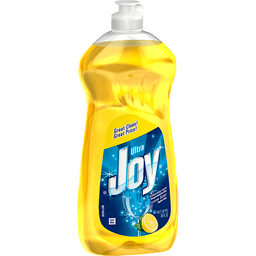 BETTER LIFE DISH SOAP USES ALL-NATURAL INGREDIENTS TO FIGHT TOUGH STAINS AND LEAVES YOUR DISHES SPARKLING CLEAN. 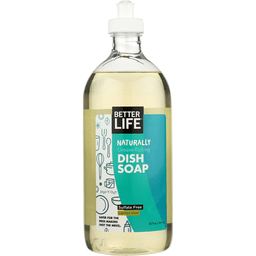 INFUSED WITH LEMON AND PEPPERMINT EXTRACTS, BETTER LIFE DISH SOAP GOES BACK TO THE BASICS OF CLEAN. BY EXCLUDING HARSH INGREDIENTS LIKE SYNTHETIC FRAGRANCES, SODIUM LAURYL SULFATES, AND PETROLEUM SOLVENTS, AND REPLACING THEM WITH NATURAL CLEANING AGENTS, BETTER LIFE DISH SOAP NOT ONLY GETS RID OF STAINS AND SMELLS, BUT ALSO GETS RID OF THE RISKS POSED BY OTHER, MORE CHEMICAL-RELIANT CLEANING PRODUCTS. INCLUDES ONE 22 FL. OZ. BOTTLE. SEE INGREDIENT FACT PANEL FOR ALLERGENS. AT BETTER LIFE, THEIR MISSION STATEMENT IS IN THEIR NAME. THEY ARE DEDICATED TO CONTRIBUTING TO A BETTER LIFE FOR THEIR CUSTOMERS, AND BY PROVIDING NON-TOXIC, NATURAL CLEANING PRODUCTS, BETTER LIFE ALLOWS FOR THE CUSTOMER TO TAKE LIFE’S LITTLE MESSES IN STRIDE. 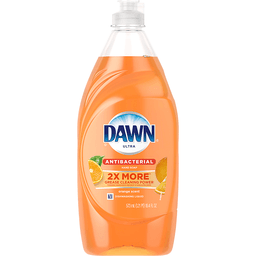 WITH BETTER LIFE DISH SOAP, IT’S JUST THE GOOD STUFF. 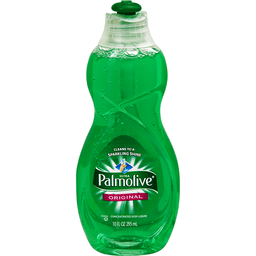 With non-toxic, plant-based powergreen technology. 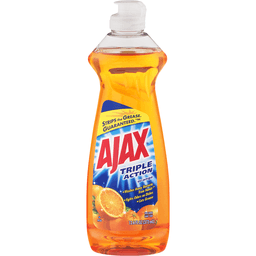 For a sparkling clean. 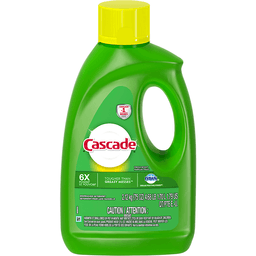 Just pump of our naturally derived, concentrated dish soap with powergreen technology goes a long way to get rid of tough grease + grime. Voila! The dishes are done. Certified B Corporation. We're certified to benefit our people + the planet. 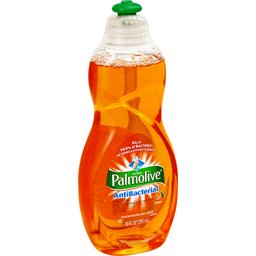 Bottle made from 100% recycled plastic (PCR). recycle for good karma. 100%. Never tested on animals. 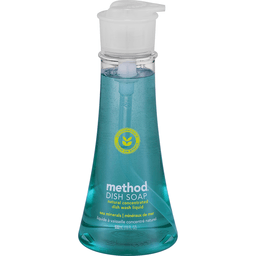 methodhome.com. Your dirty work is our delight. Made by and for people against dirty.